Just in case humans didn't know how awesome we iz already...here iz 13 strange facts about our great and awesome... and magnificent... and beautiful... and perfect...and smartest... and humble species! 1) We can drink sea water to re-hydrate ourselves! If there are no other options, cat kidneys are efficient enough to survive and rehydrate by consuming salt water. Their kidneys are able to kick out the salt while allowing the good water to pass on through. 2) We haz been blamed for the extinction of at least 33 species! Feral cats have been known to completely wipe out a local species and even hunt them to extinction. This is especially true on islands, where cats can damage local animals. 3) We can smell with our pawz! 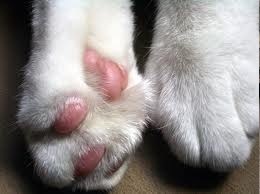 Cats paws contain sweat glands, and the scent, mixed with the sweat from their paws, is used to mark their territory while they are walking, kneading and scratching behaviors. Another reason not to declaw them. Domestic cats instinctively do not want to drink from their water bowl if it is near their food in fear of contamination. This is due to the fact that cats are natural hunters, and they do not drink water that is near their kill because it could be contaminated by the newly caught prey. 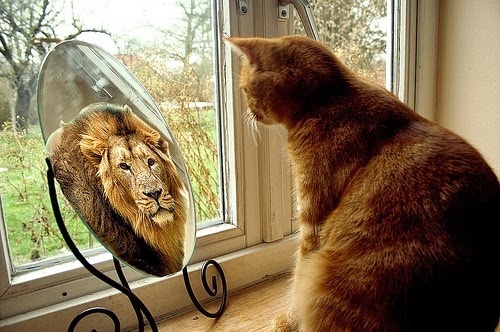 Obviously, domestic cats overcome this instinct, but it is still in the back of their heads. 5) We sleep for 70% of our lives........ awesome! 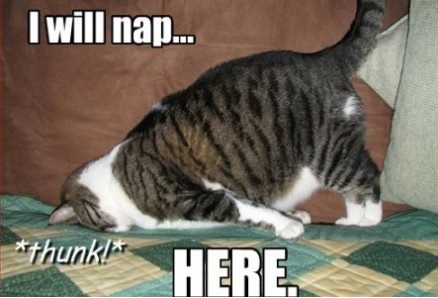 Cats sleep for 70% of their lives, which accounts for 16 hours a day. They sleep more than another other mammal besides bats and opossums. As natural predators with few enemies, they can afford it. 6) Every night, Disneyland releases over 200 of us into the park to keep its rodent population in check! That's right. 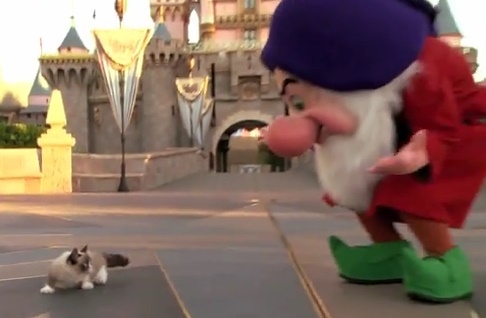 Disneyland owns over 200 feral cats. By day, the cats live within the permanent feeding stations hidden within the park's 86 acres. At night, they are release to hunt down Mickeys and Minnies. 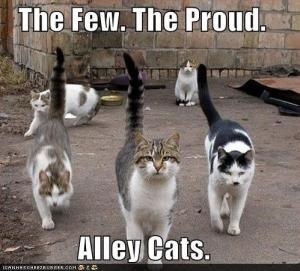 They are spayed, neutered, and given regular shots... so 200 feral cats doesn't turn into 2 million. 7) We helped keep alive a lost 1 year old human! 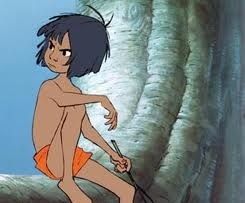 In 2008 a boy was found by police in Argentina amongst 8 wild cats. Doctors claim the cats must have snuggled the boy at night to keep him warm during freezing temperatures. The boy ate scraps that the cats dragged in for him, and licked him and bathed him as if he were their own. When police found him, the cats got protective and spat at the officer. The boy was returned home safely thanks to his second cat family. Cats have whiskers in more places than their cheeks. They also have them on their chin, eyebrows, and legs. The whiskers on their cheeks are the longest, however. 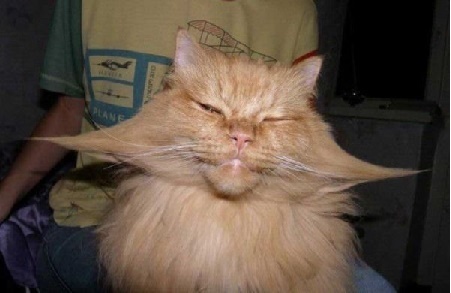 The whiskers grow to the widest parts of their bodies, normally their shoulder or hip span. They use their whiskers to gauge if they can fit through certain spaces, and if they bend or move, the cat knows it shouldn't try it... but some are more stubborn then others. 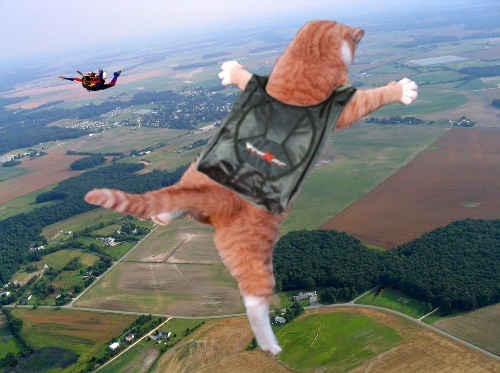 9) We iz more likely to survive a 32 story fall rather than a 6 story one.... ??? New York veterinarians gathered up data that showed that the death rate for cats falling from 2-6 stories was much higher than those that fell from 7-32 stories. How? First, cats have a keen sense of direction. When they're falling, they are able to tell which side is up rather easily and position themselves upright. This position not only allows them to land on all four legs, but the time to flex on impact. This allows them to absorb the shock and lower the risk of breaking legs. 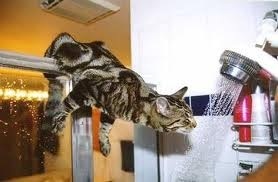 So when a cat is falling from much higher places? Cats will position themselves in a umbrella shape, and like a parachute, they can slow down their fall and have a longer time to decelerate. The higher the fall, the more time they can decelerate and slow down the impact. 10) All of us domesticated cats can trace back to African Wildcats from the Middle East, circa 8000 BC! A genetic study concluded that every domesticated cat in existence could be traced back to a group of only five African Wildcats from the Middle East, circa 8000 BC. 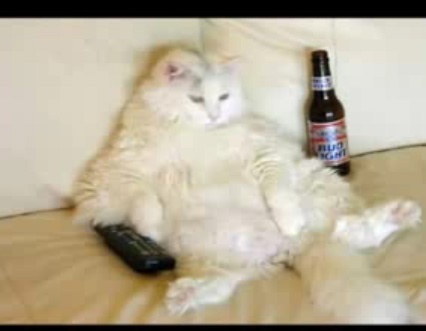 Cats have evolved so little from the Wildcats, that they can easily interbreed. Humans learned to welcome cats throughout history, due to their hunting for vermin around human villages. 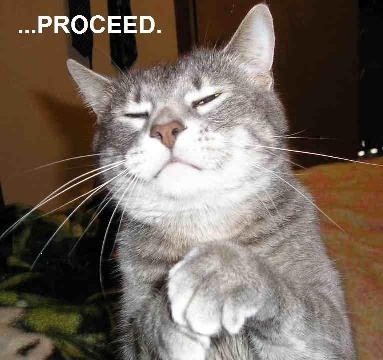 Cats purr to get what they want from human hosts (normally food). 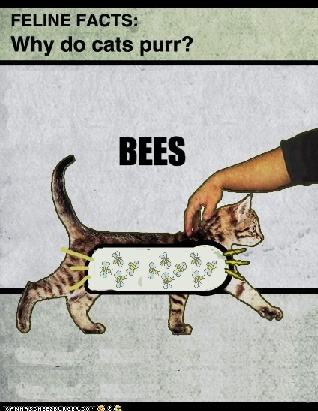 Their purr hits the same sensory frequency as an infant's cry, exploiting the nuturing instinct of humans. 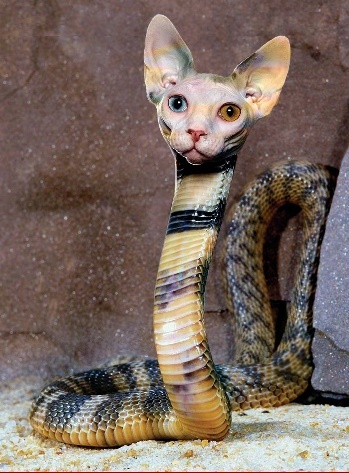 The hiss is a warning for other animals or people to stay away, whether its from a snake or a cat. But it has been suggested that cats actually copied the hiss from the snake. Because snakes are so deadly, animals have learned that when they hear the infamous hiss... they better get out of there. Recordings from cat taste cells have shown no response to sucrose and several other sugars. It's not saying they don't like them, it's just that cats can't perceive sweetness. They are indifferent.